Thank you for stopping by to find out who is behind the photos. My family and those who love me call me Hope. I have a sweet, thoughtful + immensely talented husband who owns a landscaping company – Rootstock Landscaping + Design (shameless plug). Yep that’s him and I over there to the left. 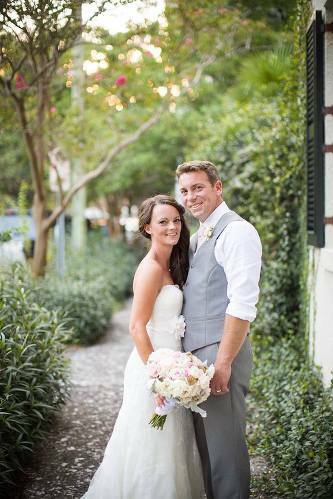 We got married in Savannah, Ga. The place where we spent 3 amazing years while I went to graduate school (Savannah College of Art + Design). We currently reside in Catonsville, Maryland with our 3 amazing boys! I’ve been an artist for most of my life. I started off drawing and painting as a young girl and took art lessons at the local art studio in town from the age of 9-17 (Staub Art Studio). My first art show was at the age of 10 at the arts + crafts festival in my home town of Catonsville. I went on to teach art lessons at this studio to support me through college. I attended Stevenson University where I received my BFA in Graphic Design. It was during these college years that I fell in love with photography in school. After graduating, I left home for the first time with my sister to attend the Savannah College of Art & Design and pursue another BFA in Fine Art Photography. While in my last year at SCAD, I ventured out of the studio and started assisting a wedding photographer. I had no clue what I was doing, but I liked the action. Studio and wedding photography are very different. One is very controlled and the other you need to think on your toes and know the changing light and how to shoot for it. I fell in love with all of the moments and details that a wedding day held. I’m the woman behind the camera with the tear rolling down her cheek as she looks over to capture the groom’s face when he first sees his bride. Or the look on dads face as he hands his daughter to the new man in her life. These are the moments. The real life moments that fill my work and my heart. I’ve been so lucky to have shot over 100+ weddings since opening my doors in 2006 and have been featured in several National Wedding Publications around the world. I’ve been so lucky to travel over the years from Baltimore, Annapolis, Washington DC to PA, NY, California, Texas, GA, NC, SC, FLA, Puerto Rico and beyond to capture some amazing weddings! My goal with everything I photograph… to bring out and capture the natural beauty, emotion and moment with anything that crosses my lens. I’d love to capture your moments in life. I want to be your photographer. So get in touch and we’ll go from there!